If you’re focused on becoming a successful and experienced angler, taking a fishing education course may be a smart move to help you reach your goal. By learning the ins and outs of fishing equipment, navigating the water and handling fish, you can soon become an expert in the field, making your fishing trips more enjoyable and productive. The team at FishingLicense.org recommends taking a class focused on fishing so you can learn more about staying safe on the water, and preserving the environment. There are many different options when it comes to fishing education classes, and here are a few of the top resources you should consider when looking into taking a course. Online fishing classes are offered on several different websites. Some are organized as a traditional class, and require a fee for access to resources and videos that will teach you everything you need to know about being an expert angler. There are also some websites that offer these online videos for free. You can choose the subject you feel the weakest in, like knot tying, and watch a few videos that will instruct you on how to sharpen these skills. According to the experts at FishingLicense.org, however, these free online classes usually don’t come with the ability to ask questions or contact the instructor. If you pay for online instruction, however, you should also have an open line of communication with the instructor or another fishing expert, so you can get your questions answered. 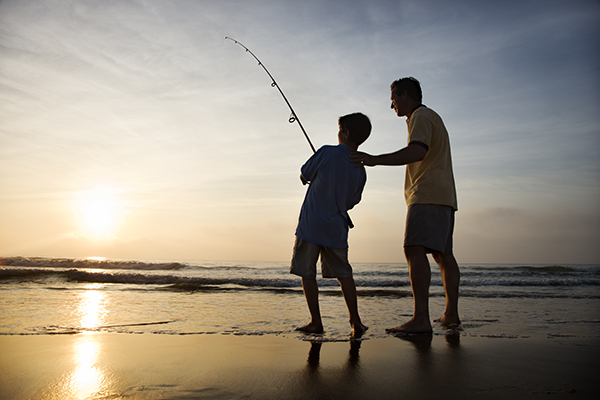 If you’re already an expert fisherman but are attempting to teach your kids the basics of the sport, there are online resources available. It can be tough to remember to cover all the important things your children will need to know to stay safe and have a great time while fishing. Using these online videos, instructions, and reviews can help you to make sure you’ve covered all your bases and your children have a strong foundation of fishing knowledge. Your state may have a Department of Conservation, or a Department of Fish and Wildlife that offers fishing courses. These courses are usually free or low in cost, while some may simply require a donation. These courses typically take place at a state-owned building or state park in the area, and are instructed by a fishing expert who may also be a park ranger. Some of the instructors for state-run courses are volunteers who have a love for the sport, and enjoy sharing their enthusiasm with the general public. The instructors of these courses can share their tips and tricks for successful fishing outings, and offer hands-on training with baiting and tying knots. These courses mostly cover the habits and lifecycles of local fish, and how to be environmentally responsible while enjoying the sport. The team of experts at FishingLicense.org encourage all anglers to look into these state-run fishing courses because the state’s regulations and laws are always covered extensively. This can give you an idea of the fish you can legally target, and the regulations that correspond to these species. Another option for fishing courses may be a bait and tackle or fishing store in your local area. These stores can sometimes offer fishing education courses to help customers gain new skills. These stores are known for offering classes for students to gain specific skills, like fly fishing, or targeting certain species. According to the experts at FishingLicense.org, participating in a local course at a fishing supply store will not only teach you new skills, it’ll allow you to socialize with local fishermen. Meeting these fishermen can give you access to insider knowledge on the local waters and the best hotspots for catching fish. These classes also allow you to practice on their lures and rods, so you can test out different technology on the market today. This helps you to decide what new gear is right for you, while also getting a lesson on how to use it properly.